Tales of such darkness evoke nothing but the darkest of emotions and are cruel reminders of the darkness in men. Scientists from Dalhousie University in Canada published a study in the journal Cell where they described a novel cure for lazy eye in kittens. 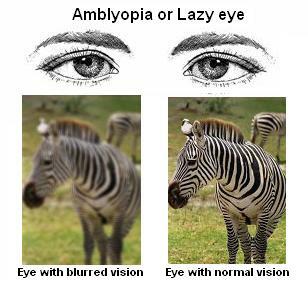 Lazy eye or Amblyopia is a condition in which vision loss can occur even without any structural damage to the eye. 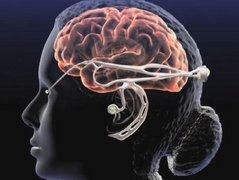 When one eye suffers from a decrease in vision, it keeps on sending blurry images to the brain. Slowly, the brain begins to ignore the signals received from this eye and favours the better eye, making the other eye ‘lazy’. Because the brain suppressed the lazy eye very early in life, the sharpness of vision did not get a chance to develop. Usually the treatment for this, (apart from treating the main cause of decrease in vision of course) involves patching. A patch is applied over the better eye, so that the brain is trained not to ignore the signals from the defective eye. Not to mention, it takes a lot of bribes and coaxing before the kids become congenial to this therapy. Even after patching, depth perception may not always develop completely. 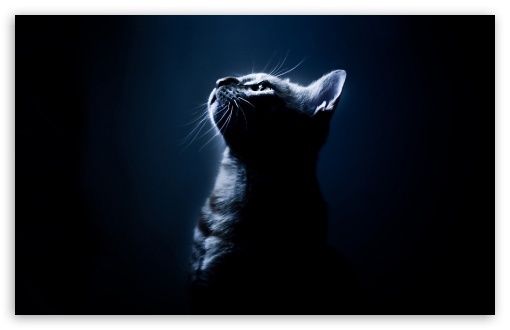 In an effort to find a new direction for the management of lazy eye, researchers demonstrated in kittens that being in the dark could actually cure lazy eyes! In the study, lazy eye was induced in seven kittens by closing one of their eye lids for a week. Three of these kittens were immediately put in total darkness (the dark room inside a room inside a room that we were talking of earlier) for ten days. If you winced at the idea, it would hearten you to hear that they were placed along with their mother and mates, were fed, cleaned, checked on multiple times each day to ensure that they were not troubled and constantly monitored by infra-red camera. They were also played the radio during each 24 hour period to ensure that they did not lose track of the day-night cycle. When these kittens were removed from the darkened room, initially they were blind in both the eyes. The vision in both their eyes gradually improved and became normal in about seven weeks. What was amazing was that they did not develop lazy eye in the other eye and both their eyes turned normal! The scientists waited for 4-8 weeks for the remainder four kittens who had been induced with lazy eye to grow older. Once older these kittens were then subjected to ten days of darkness. It is believed that our brains are more flexible and adaptable during infancy. (Not just our joints or attitudes!) Scientists were curious to know the results on these older kittens whose brains had become less flexible and more hard-wired with the visual pathways. The results surprised them. Not only did they not suffer from blindness in the normal eye, but their lazy eye got cured in a week! Wait! Before you decide to try this at home, scientists caution that a lot more study is required on the optimum age of the child, whether a blind fold would do, whether a few hours every day would be good enough… not to mention, apart from other issues for the child, trying this out now might just land you in jail for child abuse! But one thing is certain…this has sure opened up a whole new avenue for further research into how we can treat lazy eye! The Pediatric Ophthalmology and Squint Department at Advanced Eye Hospital has offered treatment for amblyopia to many patients from Sanpada, Vashi, Chembur, Airoli, Panvel, Nerul, Kharghar, Ghatkopar and Mulund. 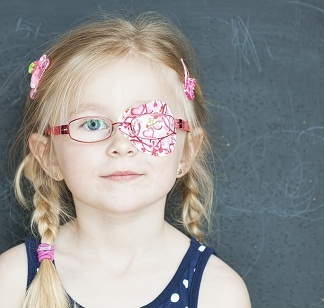 Contact us today if you wish to rule out amblyopia in your child.